VBA programming for beginners and advanced users will help you to learn vba programming language and concepts. Our objective of this topic is to provide complete programming reference to write VBA Programs. 1. VBA Introduction: In this session we will see what is VBA and its history and Evaluation of the VBA in Software Industry. 2. VBA Applications: In this topic we are going to see the different kinds of VBA applications and its use in real world. 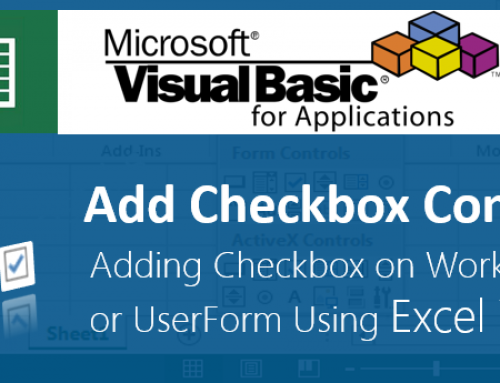 We will see, how we are going to use VBA Programming in different applications in MS Office, such as MS Excel, MS Access, MS Word, MS PowerPoint, MS Outlook and other applications. 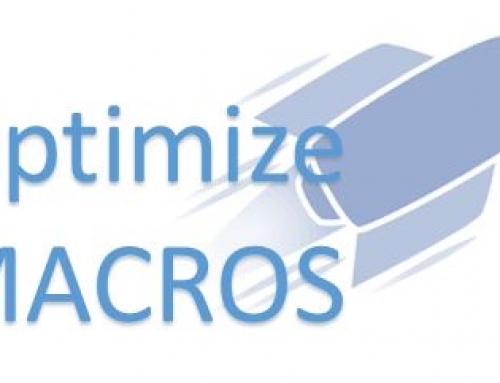 We can also use VBA in other applications like AutoCAD, SAP, SAS, SPSS, etc. 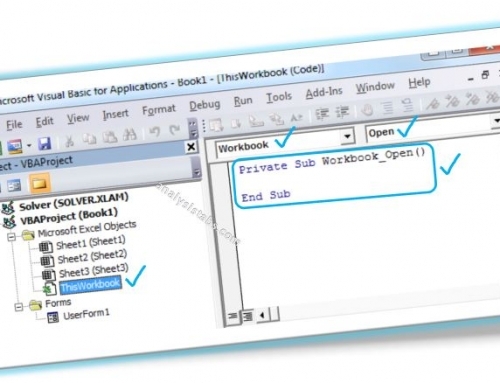 We can also develop VBA Applications using VB.Net, C#.Net, C++, VC++ and Java. 3. Visual Basic Programming Concepts: This topic will provide you basic VBA programming concepts. Variables: Variables in VBA Programming helps you to store any value in a temporary memory for further calculations. We can declare different kinds of variables by specifying its data type and use it in our programs. Data Types: Data types in VBA Programming helps to declare a variable to store the specific type of data. For example String is to store text, Integer is to store numeric data and Date is to store date and time values. Operators: Operators in VBA programming helps to deal with expressions to perform different kinds of calculations. Arithmetic Operators: Arithmetic Operators in VBA programming helps to deal with expressions to compare the data in expression and calculations. Logical Operators: Logical Operators in VBA programming helps to deal with expressions to form expressions with more than one condition or expression. 4. Advanced VBA Programming Concepts: This topic will provide you the advanced topics for VBA programming. Conditional Statements: Conditional statements in VBA Programming are to check the conditions in Expressions. Sub Procedures: Sub procedure are the main VBA Programming coding blocks to write the VBA Programs. Functions: Functions in VBA Programming will take some input values and return output values, we can use different kinds of built-in functions in VBA to fasten our programming. VBA Programming Environment (VBE): We will see the VBA Environment in detailed, and different kinds of Windows and its uses in VBA Programming. 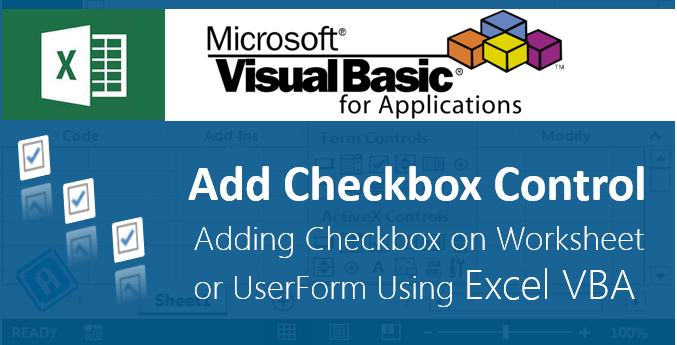 Forms and Controls: ActiveX Controls in User Forms will help use to different kinds of placeholders to build a Form or windows applications. Miscellaneous: Here are the few more useful VBA programs which can help you in your automation. I am trying to run a VBA macro which would delete the first 6 rows from each tab of an excel (2013) and save the file back with the same name. I am new to VBA and would be grate if you can help me out with a sample code. 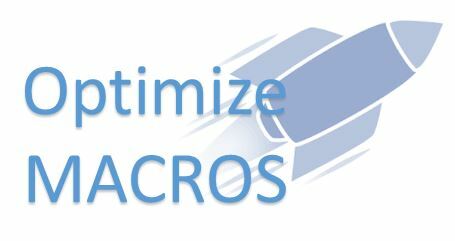 I have learned a lot from your website about VBA Macro. I am actually doing a project for my final class project and I need to create VBA Macro. I need help on how we can compare two rows and display onto a new worksheet. I was able to create a macro that displays the fields but I dont know how to display the description because the size of the columns are different and I need to display only the specific cells. I am not sure how to do that. I believe using 2D array would help me solve this issue but unfortunately I am lost. If you can please guide me i would greatly appreciate. You can loop through the columns using a for condition and compare using an if condition. Arrays are not required to do this. I am assuming you have different kind of data or requirement. It is good to post a sample data and explain your problem more elaborately. This helps me to understand your exact need to provide better solution. I need to read a list of e.g. Position IDs in a range C2:aa2, in Column A6:A160 is a range of codes with some of these codes relevant to some positions but not all. In the columns below each PositionId the corresponding codes which is relevant to the position is indicated by an “M” or “NM” (only a small number of codes will be relevant to each position, but will be different for each position) I then need to print the resulting data in a table with 3 columns with Column 1 the Code, column 2 the position id and column 3 the “M” or “MN” I have various sheets that I need to compile into one table. Can anyone perhaps assist with an easy solution? Any help or advice will be appreciated. Could you please provide example workbook with some dummy data in one worksheet and required output format in another sheet. I am having an issue on Excel. I have a drop down menu in cell D5, with three options, A, B, and C.
I am completely novice on VBA in Excel and clueless as to how to solve this issue. I got a code by googling which helps me to lock out cells, but I have no idea how to blank out cells and assign formulas. The issue is, if I just type in the formula, lets say in D6, and user selects option A in dropdown, he will have option to overwrite value in D6 and later on if option B or C is chosen, D6 will remain static instead of moving in line with the values input in D7-D9 when options B/C are chosen. Below is the code you can use Sheet Change event, you can download the example file here . Please help me how to go about this I have excel tab which populate 30 months of data in column wise, I need a help to hide the column programmatically when there is no data for particular month. This will help me in freezing the months which does not have any data. Please let me know how to go about this. Thank you very much for the response with an answer for my question. My Data is as similar as below table, By default the column will be with zero/-. When I run query the yearly fields with get update with the values since I have around 25 to 30 Months, if any of the month does not have value those column should get freezed. I would able to do this. Thank you very much for your help on this. I am looking for your online Excel VBA program course, But I see the dates are keep postponing. Please let me know what is the exact date for this course.